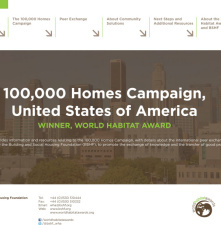 This report presents the outcomes of our peer exchange to the USA to look at the work of World Habitat Award winner, the 100,000 Homes Campaign. 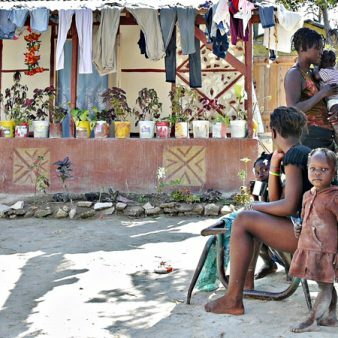 The World Habitat Award for innovative and sustainable housing solutions was presented to the 100,000 Homes Campaign at the UN-Habitat global event, the World Urban Forum, which took place in Medellín, Colombia in 2014. This project involved 180 communities in the United States, all seeking to house the most vulnerable people sleeping on their streets. Between 2010 and 2014 participating communities found housing for over 104,000 people. The campaign is showcased in this report, which is available free to download. It also includes information about the BSHF-funded peer exchange to Los Angeles as well as presentations and additional related reports and resources. Further information about this award-winning project can be found here.